My research interests focus on the development of new technology and application of existing technology in new ways to increase understanding of watershed and environmental processes and enable better prediction, better management, and better stewardship. The areas in which I have focused my research include spatial modeling, data analysis, and information dissemination using Geographic Information Systems (GIS), observation systems and sensor networks, data models and environmental information systems, and surface water hydrology and water quality modeling. My group has worked on designing, installing, and operating real-time and continuous monitoring networks for aquatic and terrestrial systems. We also design and build the data management systems required for managing data streaming from continous sensors. We are working with a collaborative group to design the next generation of the Observations Data Model (ODM2) for storing and managing environmental observations data. The information model behind ODM2 will be the basis for future cyberinfrastructure development. 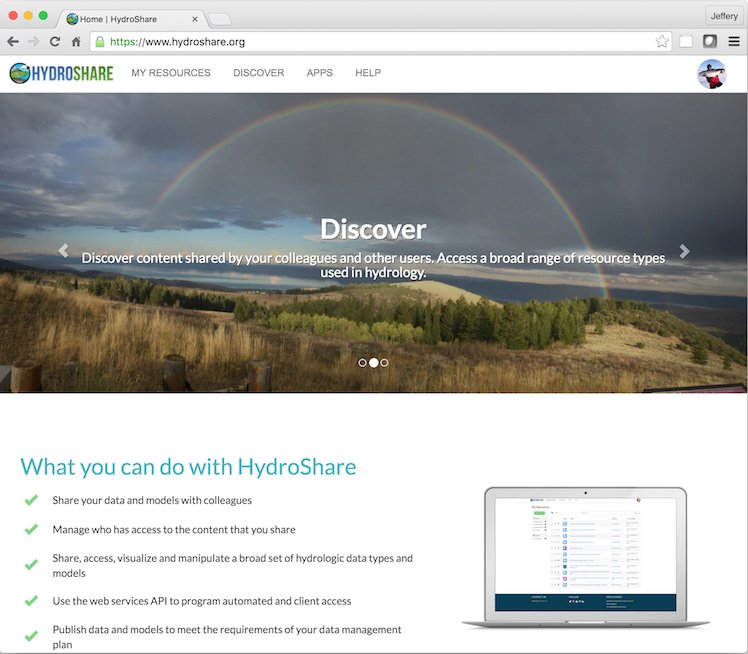 New cyberinfrastructure projects include databases, web services, and web applications like HydroShare for sharing and collaborating around datasets and models. 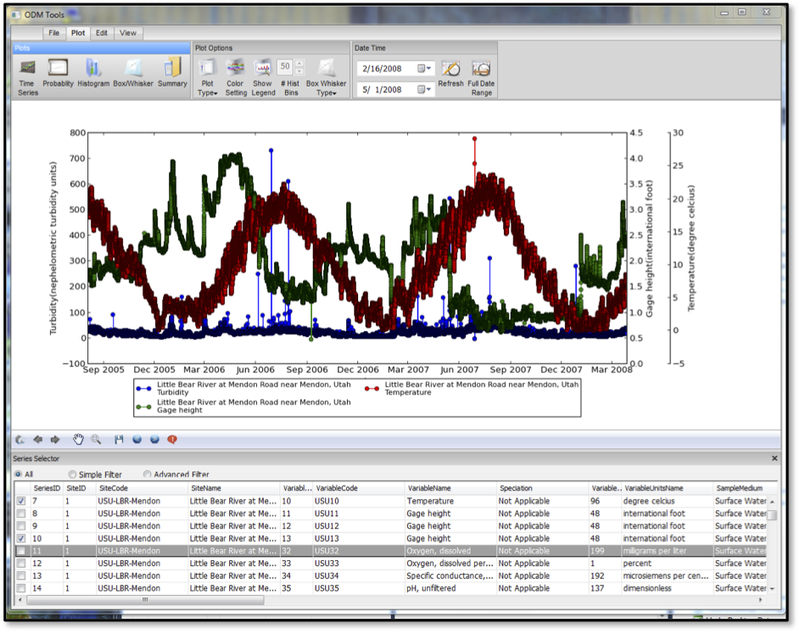 My research group also develops new software that enables researchers to better manage the data they collect, including visualization tools and tools for performing quality control on streaming sensor datasets. We are investigating and developing web based mapping applications and data services as a means for data publication and for communicating with stakeholders and other interested parties. 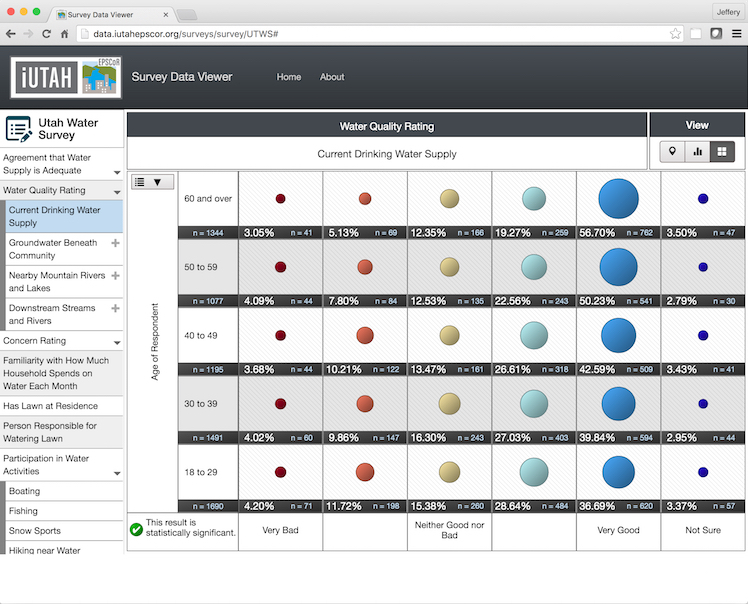 We are investigating and developing web based visualization tools for diverse datasets, including water-related social science survey data. 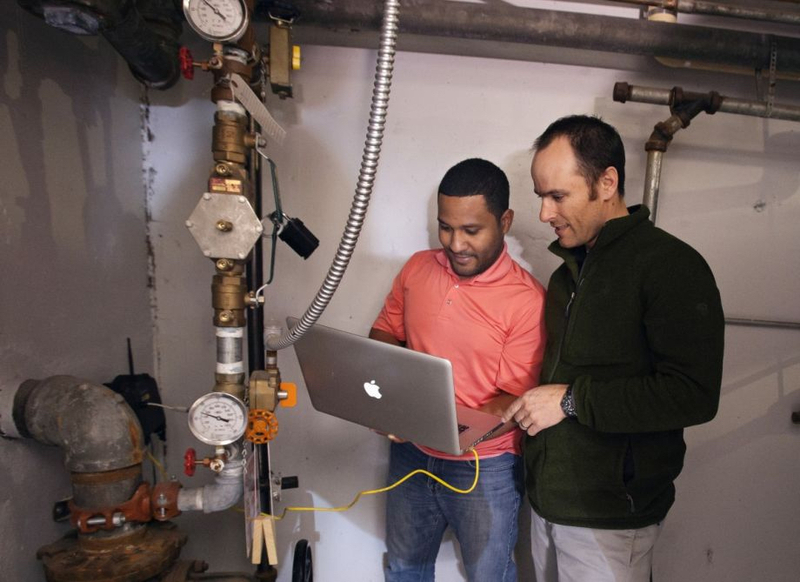 We are investigating new smart metering techniques and cyberinfrastructure that are enabling advanced study of residential water use behavoir. 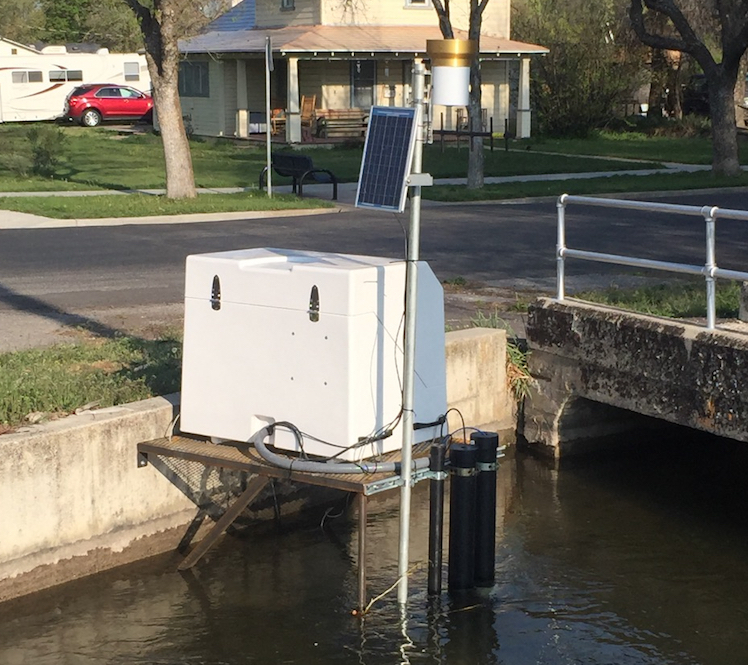 We are investigating new ways to use in situ sensors to better quantify stormwater inputs to urban water systems and and thier impacts on water quality. National Science Foundation, Collaborative Research: SI2-SSI: Cyberinfrastructure for Advancing Hydrologic Knowledge through Collaborative Integration of Data Science, Modeling, and Analysis, D. G. Tarboton, Daniel P. Ames, Martyn Clark, Alva L. Couch, J. S. Horsburgh, 7/1/2017 – 6/30/2021. William Penn Foundation, WikiWatershed Web Toolkit for Advancing Water Quality Restoration in the Delaware River Basin, D.G. Tarboton, J.S. Horsburgh, 1/16/2017 – 1/15/2019. National Science Foundation, CAREER: Cyberinfrastructure for Intelligent Water Supply (CIWS): Shrinking Big Data for Sustainable Urban Water, J.S. Horsburgh, 2/1/2016 – 1/31/2021. William Penn Foundation, Supporting Citizen Science with the Delaware River Watershed Initiative Cluster Teams, D. Arscott, A. Aufdenkampe, J.S. Horsburgh (in collaboration with Stroud Water Research Center), 1/1/2016 – 7/31/2018. National Science Foundation, iUTAH-innovative Urban Transitions and Aridregion Hydro-sustainability, T. Crowl, M. Baker, D. Jackson-Smith, J.S. Horsburgh (Utah EPSCoR Track 1 proposal in collaboration with U. of Utah, Brigham Young U., and others), 8/1/2012 – 7/31/2017. National Science Foundation, Collaborative Research: SI2-SSI: An Interactive Software Infrastructure for Sustaining Collaborative Community Innovation in the Hydrologic Sciences, D.G. Tarboton, D.P. Ames, J. Arrigo, J.L. Goodall, D.R. Maidment, J.S. Horsburgh, (in collaboration with U. of North Carolina Chapel Hill, U. of Texas at Austin, Purdue U., and San Diego Supercomputer Center), 7/1/2012 – 6/30/2017. National Science Foundation, Collaborative Research: SI2-SSI: The Community-Driven BiG CZ Software System for Integration and Analysis of Bio- and Geoscience Data in the Critical Zone, A. Aufdenkampe, K. Lehnert, R. Cheetham, J.S. Horsburgh, E. Mayorga, 12/1/2013 - 11/30/2015. National Science Foundation, Integrated Data Management System for Critical Zone Observatories, J.S. Horsburgh, D.G. Tarboton (in collaboration with U. Colorado Boulder, Stroud Water Research Center, U. Washington, and San Diego Supercomputer Center), 7/1/2012 – 6/30/2014. National Science Foundation, Developing a Community Information Model and Supporting Software to Extend Interoperability of Sensor and Sample Based Earth Observations, J.S. Horsburgh, K. Lehnert, A. Aufdenkampe, I. Zaslavsky, E. Mayorga, 8/1/2012 – 6/30/2014. National Science Foundation, CI-WATER: Cyberinfrastructure to Advance High Performance Water Resource Modeling, D.G. Tarboton, J.S. Horsburgh, D.E. Rosenberg, 10/1/2011 – 9/30/2014. National Science Foundation, DataNetONE (Observation Network for Earth), P. I. William Michener, University of New Mexico, Sub award to Utah State University, J. S. Horsburgh, 8/1/2009 – 7/31/2014. National Science Foundation, EAGER: Collaborative Research: Interoperability Testbed-Assessing a Layered Architecture for Integration of Existing Capabilities, J.S. Horsburgh, (in collaboration with UNC, GMU, WHOI, OGC, UC Boulder, UIUC/NCSA, RENCI, UNC-CH, UCSD, and Colorado State University), 4/1/2012 – 3/31/2013. Consortium of Universities for the Advancement of Hydrologic Science, Inc. (CUAHSI), Development of an Implementation plan for Operationalizing the CUAHSI Hydrologic Information System and HydroServer Development and Maintenance, J.S. Horsburgh, 6/1/2011 – 5/30/2012. United State Geological Survey, Drought Index Information System Development, D. G. Tarboton, J. S. Horsburgh, 1/1/2010 - 12/31/2012. National Science Foundation, Hydrologic and Ecological Impacts of Changes in Human Water Resource Management in Response to Climate Change, D. Jackson Smith, C. Simms, J. S. Horsburgh, B. T. Neilson, D. E. Rosenberg, 10/1/2010 – 8/30/2012. National Science Foundation, Development of a Science Plan for the Water and Environmental Research Systems (WATERS) Network, P. I. Jeff Dozier, University of California Santa Barbara, Sub award to Utah State University, D. G. Tarboton, J. S. Horsburgh, 10/1/2008 - 12/31/2009. Inland Northwest Research Alliance (INRA), INRA Constellation of Experimental Watersheds (ICEWATER), D. G. Tarboton, J. S. Horsburgh, 11/15/2008 – 9/30/2010. 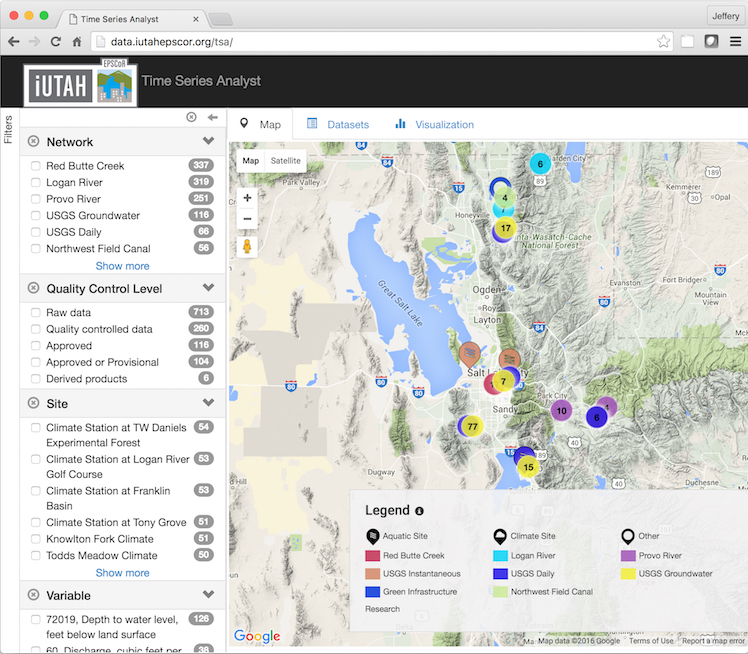 State of Utah, Division of Forestry, Fire, and State Lands, An Internet Based Great Salt Lake Information System (GSLIS), J. S. Horsburgh, D. G. Tarboton, 10/2008 – 9/2010. National Science Foundation, GeoInformatics: Consortium of Universities for the Advancement of Hydrologic Science, Inc (CUAHSI) Hydrologic Information Systems, D. R. Maidment, D. G. Tarboton, I. Zaslavsky, J. Goodall, M. Piasecki, 1/15/2007 to 12/31/2011. United States Bureau of Reclamation, Software Development to Support the Trinity River Integrated Information Management System, D. K. Stevens, T. Hardy, J. S. Horsburgh, 9/2006-12/2009. National Science Foundation, Tools for Environmental Observatory Design and Implementation: Sensor Networks, Dynamic Bayesian Nutrient Flux Modeling, and Cyberinfrastructure Advancement, D. S. Stevens, D. G. Tarboton, J. S. Horsburgh, N. O. Mesner, 11/06-10/09. USDA CSREES, Investigation of the Changes in Water Quality in the Little Bear River Watershed in Response to Implementation of Best Management Practices, D. K. Stevens, J. S. Horsburgh, N. O. Mesner, D. Jackson-Smith, D. L. Sorensen, 9/2004 – 9/2009. Bear River Commission, USEPA Targeted Watersheds Program, Development of an Internet Based Watershed Information System and Water Quality Trading Program in the Bear River Basin, David K. Stevens, J. S. Horsburgh, N. O. Mesner, T. Glover, 10/2004 – 9/2009. Utah State University Water Initiative, State of Idaho Department of Environmental Quality, Continuous Water Quality Monitoring of Mud Lake to Support Evaluation of Effects of Bear River Water Diverted into Bear Lake, J. S. Horsburgh, D. K. Stevens, N. O. Mesner, 2006 – 2009. Consortium of Universities for the Advancement of Hydrologic Science, Inc. (CUAHSI), Development of Data Visualization, Management, and Processing Tools for the CUAHSI HIS Observations Data Model, J. S. Horsburgh, D. K. Stevens, 9/2006 – 2/2007. Cirrus Ecological Solutions (State of Utah, Department of Environmental Quality), Technical Support for TMDL Development: Upper Bear River Watershed, J. S. Horsburgh, 3/2005 – 6/2006. National Science Foundation, Development of Informatics Infrastructure for the Hydrologic Sciences, P.I. David Maidment, University of Texas at Austin, 3/04-10/07. Bear River Commission, USEPA Targeted Watersheds Program, Dynamic Water Quality Modeling to Support Water Quality Trading in the Bear River Basin, D. K. Stevens, J. S. Horsburgh, N. O. Mesner, 6/2005 – 9/2008. University of Utah, Long Term Hydrologic Observatory Website for the Great Salt Lake Basin, J. S. Horsburgh, 2004. 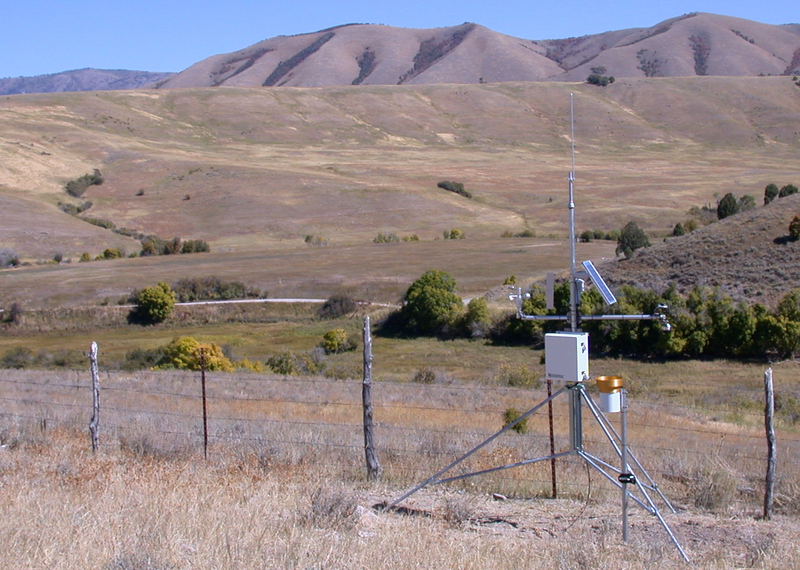 Utah State University Water Initiative, Development of an Internet Based Laboratory Watershed Information System for the Bear River Basin, J. S. Horsburgh, 3/2004 – 6/2006. Utah State University Water Initiative, Real Time Water Quality Monitoring in the Logan River, J. S. Horsburgh, 3/2004 – 6/2006. Psomas (State of Utah, Department of Environmental Quality), Technical Support for TMDL Development: Strawberry Reservoir Watershed, D. K. Stevens, J. S. Horsburgh, 3/2004 – 8/2004. Cirrus Ecological Solutions (State of Utah, Department of Environmental Quality), Technical Support for TMDL Development: Echo Reservoir Watershed, D. K. Stevens, J. S. Horsburgh, D. P. Ames, 7/2003 – 6/2005. Cirrus Ecological Solutions (State of Utah, Department of Environmental Quality), Technical Support for TMDL Development: Otter Creek and East Fork Sevier River Watershed, J. S. Horsburgh, D. P. Ames, 12/2002 – 12/2005. Cirrus Ecological Solutions (State of Utah, Department of Environmental Quality), Technical Support for TMDL Development: Newton Reservoir and Clarkston Creek Watershed, J. S. Horsburgh, D. P. Ames, 9/2002 – 3/2004. Whatcom County, WRIA 1 Watershed Management Project, T. Hardy, M. McKee, D. Stevens, D. G. Tarboton, M. Kemblowski, J. Kaluarachchi, D. Sorenson, 2000 - 2005. State of Idaho, Department of Environmental Quality, Technical Support for TMDL Development: South Fork Payette River, D. K. Stevens, 6/2000 – 6/2002. USEPA, Better Assessment Science Integrating Point and Nonpoint Sources (BASINS) Training, D. K. Stevens, 7/1999 – 6/2002. Idaho National Engineering and Environmental Laboratory, Development of a User Driven Decision Support System for Water Availability and Quality Management, U. Lall, D. Stevens, R. Price, D. G. Tarboton, J. Kaluarachchi, Q. Weninger, T. Glover, G. Urroz, 1997 - 2000.